If you don’t already know, I am Canadian. And although my country isn’t exactly The Great White North anymore due to weather pattern changes, it still does get cold enough in winter to make Florida look awfully good. And warm! And to this ‘Snowbird’ it’s just a no-brainer to head to The Vacation Kingdom for that hot and sweaty two weeks of winter vacation time. But perhaps your dream vacation involves Disneyland. What help was available to plan our vacation? How would we travel from Canada to this U.S. destination? How long would we stay? Would we stay on property, or off? Was there anything else we needed to know before making our final decision? So many questions, but at the time, so few answers! So this article is intended to help my fellow Canadians, and perhaps by extension other foreigners, to plan their next Disney vacation. I’ll walk you through each of the above questions by giving you the solutions I found to create many successful visits. What help is available to plan your vacation? For my first visit, I used a Travel Agent. I would recommend this to anyone who is unfamiliar with travel or booking procedures. For my wife and I, it took all of the worry out of the planning stage. We merely told our Agent what we wanted to do and when, and she did the rest. Today, there are many Official Disney Travel Agents (one is attached to this site) who are experts at planning a magical visit with Mickey Mouse. We also used CAA (AAA) when we were members, and this too proved to be a fine planning resource. You can also phone Disney directly and they will plan everything for you. In my opinion, if you try to go it alone, you are likely to miss out on many things. The sheer amount of decisions needing to be made is staggering! So perhaps a final tip is to do as much research on the Disney destination of your choice as you can. I recommend buying Birnbaum’s Official Guide, or some similar publication, well in advance of your planned vacation. How should you travel from Canada to the States? For our first trip, to Walt Disney World, my wife and I flew. Any Canadian airport will fly you directly to the Orlando International Airport. However, at the time, we lived only 30 minutes from the Windsor/Detroit border, and so had friends drop us off at the Detroit Metro Airport. From there, it took only two hours of flying and very little time was wasted on the ground or in the air. We were able to minimize the time spent in Customs and endured lessened security checks, so keep this point in mind: The events of 911 have made travel between Canada and the U.S. more inconvenient for Canadians, so you will be subjected to more delays and stricter security measures if you leave for Florida or California from a Canadian Airport. Thusly, I recommend that you travel by car across a land border, use Park and Fly, and fly from State to State to minimize this problem. The other option of travel is to drive. I much prefer doing this, as you can stop along the way and enjoy more of what the U.S. has to offer in the way of attractions and sightseeing. But your distance from Florida or California will determine if this is feasible. If you will be driving to Florida, I recommend picking up a copy of Along Interstate I75 by Dave Hunter. He and his wife have made hundreds of road trips along this route and have included every, and I mean every, possible point of interest along this highway! Plan an extra day or two to stop and enjoy the culture and friendly people of each State you cross. Up front, you should know that you have no hope of covering all of Walt Disney World in a month, let alone a week or less. So don’t worry about figuring out how many days you’ll need to cover everything. It ain’t gonna happen! So pick the number of days you will need to wind down and relax, but not so many that you will miss home and your regular routine. Remember: Next year will bring another vacation! Should you stay on property or off property? If you are going to fly, staying on property makes the best sense. Disney’s Magical Express will pick you up at the airport and drop you off when it’s time to leave. You just sit back and let them do the driving! Disney will even pick up your luggage at the airport and place it in your room upon arriving at your resort. Now how convenient is that? If you are planning to drive, then either option is feasible. But keep in mind that parking fees at Walt Disney World (and presumably Disneyland) can add up quickly, but can be avoided if you park at your on property resort and use Disney transportation. Staying off property makes sense if you intend to visit several other Orlando or Anaheim attractions, such as Universal Studios, Knott’s Berry Farms, or Legoland. Choosing a spot at a central location to all of your intended destinations just makes more sense time wise and financially. What else do you need to know before making your final vacation plans? Plan ahead. Keep your eye on the exchange rate between the Canadian and U.S. dollars. One year you may find things at par, while another year can see Canadians losing over 25 cents on the dollar! This can severely impact your spending power on vacation. So if possible, watch the fluctuating rates, and buy your American currency when values are closest to par. Research on Internet sites and Blogs (like this one) all of the current and upcoming discounts and promotions being offered by Disney. Again, if you’re not into spending hours on the Internet, letting your Travel Agent do the work may be best. Be aware of attraction refurbishments and closing schedules as well as Park renovations and expansions. The Parks have many closures, especially during the off-season. Currently, both Walt Disney World and Disneyland have construction under that may limit the ‘curb appeal’ of the Parks. My last tip is the simplest and perhaps most enjoyable: Talk to your Disney friends! They may just be the best resources you have about the Parks and how to make the most of a Disney vacation. So now I hope you’re ready to plan that big Disney vacation. Just remember what Charles Muntz always said: “Adventure is out there!” But maybe I could add that more adventure is possible if you plan well. I’ll see you at the Parks! Look for hidden treasure in Adventureland in A Pirate’s Adventure! 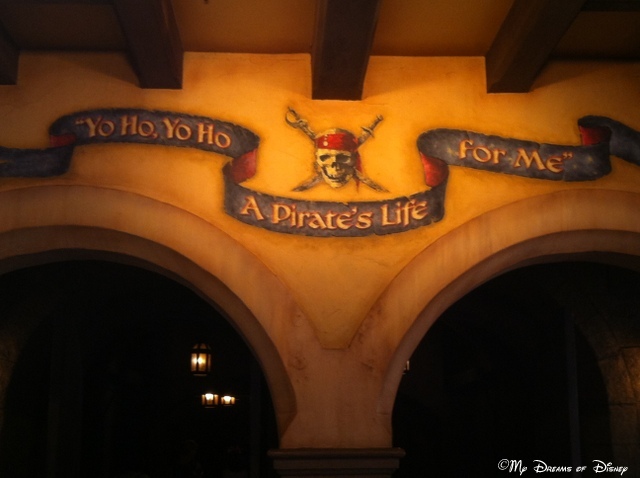 The motto of every Pirate in training! There are five treasures hidden throughout Adventureland. Your goal is to grab a special magic talisman to read 5 treasure maps to find the hidden treasure! Race against Captain Barbosa to find the Treasure of the Pacific! Beat the British in the Treasure of the Indian Ocean! Make a special spell to hide the port in Treasure of the Caribbean! Locate a pirate ship to find the Treasure of the Arctic! Battle with Blackbeard and win the Treasure of the Mediterranean! 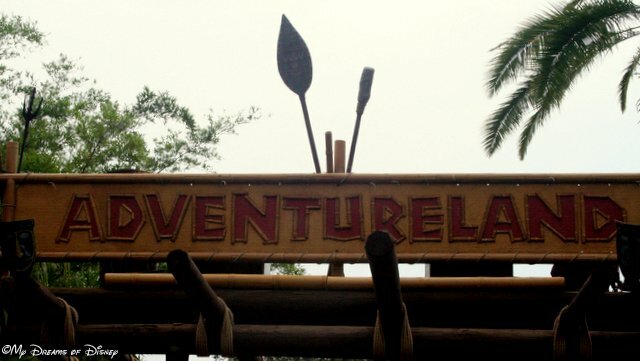 Each of these adventures takes about 20 minutes, and you can stop and start throughout the day, so think about this as an alternative Magic Kingdom adventure for you and your kids! Have you ever done this? Is it fun? Let me know in the comments, and thanks for stopping by today!